Like a baker’s dozen, Greg and I have been married 13 years. Something about THIRTEEN seems big and monumental. Of course, we’re the same couple that went on a big anniversary trip to Mexico for our 11th anniversary. Apparently we don’t mark milestones like everyone else. But we’re in this life – the ordinary moments and the milestones – together. Marriage was hard in the beginning. I brought so much emotional baggage. I was naïve and controlling – except I couldn’t control Greg or our relationship, even though I tried. I resisted change and dug in my heels. I blamed him for things – so many things – that weren’t his fault. I fought internally with trying to forgive people and let go of things that happened long before I became Mrs. Taylor yet continued to seep into my marriage. And then we tried to conceive a baby and couldn’t – and not because we didn’t try. In trying, my emotions splattered all over the place. Our marriage was tense again. But then we let go of trying. In that moment, the peace that passes our understanding came. We ended up holding our daughter less than nine months later, thanks to adoption. And we ended up adopting again 30 months later. Now we’re in the midst of another adoption process. Our family has grown in ways only God could orchestrate. And in that journey, my faith grew and my marriage found itself settling on a firmer foundation than before. I knew Jesus when I said “I do” on Aug. 3, 2002, but I still hadn’t let the savior of the world into some of the deepest places in my soul. My faith is a work in progress, but God promises to finish this thing he’s started in me. Really, I feel the same about my marriage. What began as two stubborn, first-born people trying to merge their lives has become a testimony of the God who unifies. Greg and I like adventures together – and I like to be in charge of the radio and playlists as we go. We laugh often and fight less these days. We’ve bungy jumped while tethered together. We’ve sat together in roller coasters, airplanes, minivans, and an Amtrak car. We’ve traveled around the country and even across the ocean. 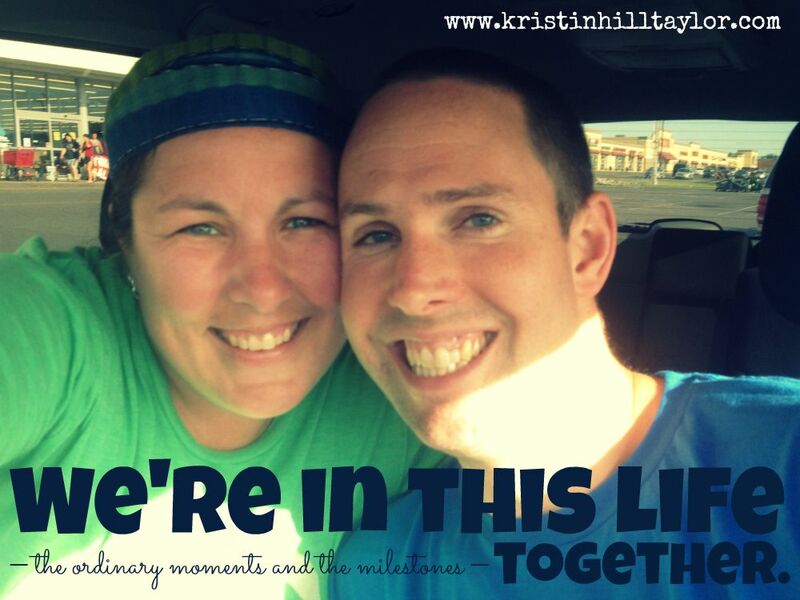 We’ve seen the blue seas and ancient ruins in Greece, experienced New Zealand, and served together in Guatemala. We have plans and dreams and plenty of inside jokes. This is our life – the one that looks nothing like I expected but has surprised me in the best ways. That’s adventure for you. And marriage is certainly an adventure. I’m grateful for where we are, how we got here, and where we’re going – together. To celebrate, here are 13 songs that take me back through our years together. 1. "The Sign" by Ace of Base :: This one is all Greg. Perhaps one of the most surprising things I learned about him early on was his love of this song. 2. "Crash and Burn" by Savage Garden :: "When you feel all alone and the world has turned its back on you, give me a moment please to tame your wild wild heart. Let me be the one you call. If you jump I'll break your fall, lift you up and fly away with you into the night. If you need to fall apart, I can mend a broken heart. If you need to crash then crash and burn, you're not alone." 4. "When You Say Nothing At All" by Alison Krauss :: We danced to this at our wedding. And I use the word “dance” lightly. I don’t really do much of that. Okay, none at all, really. 5. "Breakaway" by Kelly Clarkson :: This was in our road trip playlist for a while because Greg really likes it. Okay, so I do too. But it’s funnier he does. 6. "I Don't Wanna Wait" by Paula Cole :: Um, "Dawson’s Creek." Enough said. Oh, and for the record, I liked that Joey chose Pacey but Greg is still wishing she ended up with Dawson. 8. "Some Nights" by Fun. :: This song reminds us of the Cardinals winning the World Series in 2011. Watching sports is certainly something we like to do together. 9. "Stuck Like Glue" by Sugarland :: Greg doesn’t like when white women rap. Again, this is straight from the road trip playlist at some point. 10. "Multiplied" by NEEDTOBREATHE :: I liked NEEDTOBREATHE for a year before Greg decided to jump on board. But then we went to a concert together in Nashville in September 2014 and it was amazing. We particularly loved this song, although I could have picked from several. And then NEEDTOBREATHE released a new album THAT WAS A RECORDING OF THE CONCERT. Such a sweet gift to us. Then we saw the band again this summer in St. Louis. 11. "Sometimes By Step" by Rich Mullins :: This was the theme song of the weekend in 1996 when I accepted Christ in my life. And now Greg sometimes sings it to our kids at bedtime. Sweet memories. 12. "When I Get Where I'm Going" by Brad Paisley with Dolly Parton :: Greg’s dad passed away unexpectedly in April 2010 and this was on the songs at his funeral. That season was hard in many ways, but grieving also taught me about community. So many people came alongside us. Do you mark your life with songs? I'd love to hear about some meaningful ones. Want to read other anniversary posts? Five years. Six years. Seven years. Nine years. Ten years. Eleven years. Twelve years. I'm linking up at the weekly Soli Deo Gloria Sisterhood Gathering.